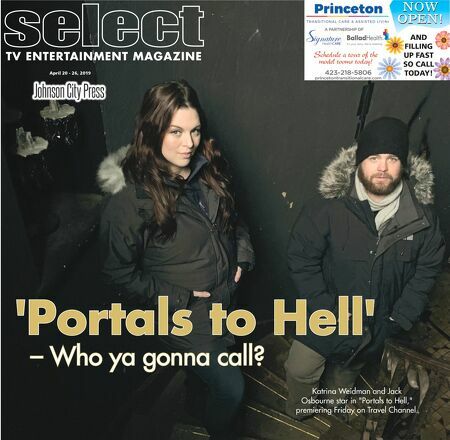 Katrina Weidman and Jack Osbourne star in "Portals to Hell," premiering Friday on Travel Channel. 'Portals to Hell' – Who ya gonna call? April 20 - 26, 2019 2 x 2" ad signature healthcare NOW OPEN! AND FILLING UP FAST SO CALL TODAY!